Provide comfort for the family of Harold Taylor, III with a meaningful gesture of sympathy. 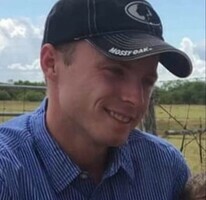 Harold Leon Taylor, III, age 22, entered eternal rest on December 16, 2018, in San Antonio. He was born in Seguin, Texas, on September 17, 1996, to Neva Stewart and Harold Leon Taylor, Jr. He was preceded in death by his father; his grandparents, Louis and Thelma Stewart; his great-grandparents: Fritz and Evelyn Stautzenberger, Elgin and Faye Adcock; and his uncle, Kenneth Taylor. Harold is survived by his wife, Shelby Timmins; his children: Caden Green, Brooklynn Taylor, and Weston Taylor; his mother, Neva Stewart; two sisters: Bridgett Taylor and Tiffany Meeks (Zach); grandparents: Lillian and Tommy Adcock; aunts and uncles: Cindy Fahrig (Emil), Linda Carrizales (Michael), Brenda Shelton (Paul), James Stewart (Irene); his nieces and nephews: Kayli Lemons, Kaden Erdelt, Makenzie Meeks, and Lillian Taylor, as well as other loving family and many friends. A Visitation will be held Friday, December 21, 2018, from 4PM-8PM at Finch Funeral Chapel in Nixon. The Rev. Michael Cowey will officiate the service with burial following in the Bundick Cemetery. Memorial contributions may be made to the charity of one’s choice. 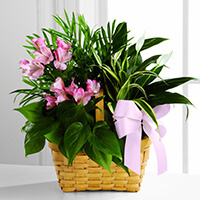 To send flowers in memory of Harold Leon Taylor, III, please visit our Heartfelt Sympathies Store. John and Linda Morris sent flowers to the family of Harold Leon Taylor, III. John and Linda Morris purchased the The FTD Living Spirit Dishgarden for the family of Harold Taylor, III. Neva, I want you to know we are praying the Lord give you comfort and peace at this hard time . This is very hard to give your only Son up here on earth but know he is resting in peace now no more trials or troubles for him . May God give you strength and courage to go on and serve him . We Love you and God bless all the family .